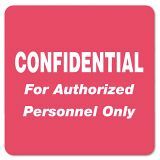 Tabbies Medical Labels for Confidential, 2 x 2, Red, 500/Roll - HIPAA Confidential Labels help maintain confidentiality of sensitive files and materials. 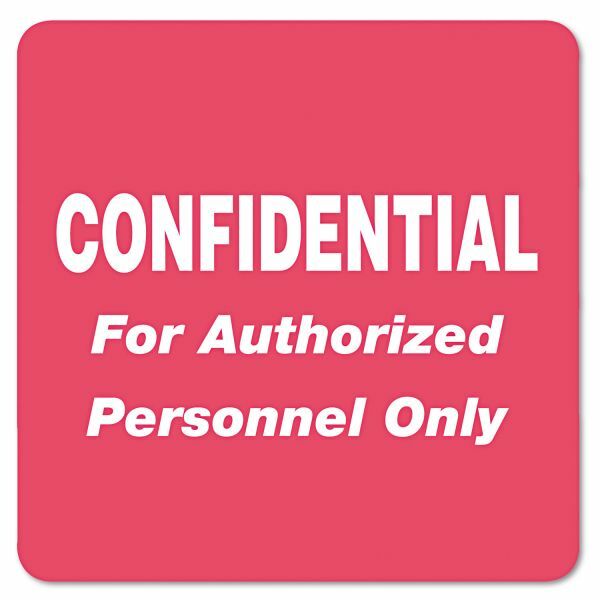 Below the word, Confidential" in all white, capital letters is the phrase, "For Authorized Personnel Only." The background of the label is an eye-catching label."